Few people would connect "New Urbanism" — dense, mixed-use buildings and public transit in pedestrian-friendly neighborhoods — with the Latino barrios of Western cities. 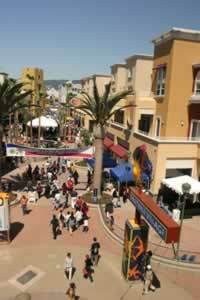 One Southern California-based group, however, sees this planning movement and Latino culture as nothing but simpatico. The Transportation and Land Use Collaborative has organized an annual conference and a series of smaller dialogues to explore how Latinos’ cultural preferences for denser communities, thriving public spaces and a pedestrian-friendly scale can influence the building industry as well as the larger picture of American urbanism. They call it "Latino New Urbanism." "To ignore that there’s a cultural dynamic at play is to miss the opportunities," says Katherine Perez, the collective’s director. "Hopefully, we’ll inform a much larger audience than Southern California." With the West’s population skyrocketing, Latinos are part of the pressure cities and towns face to house new residents. Builders are looking for new ways to use infill and redevelopment to accommodate this growth, says Richard J. Lambros, vice president of the Building Industry Association of Southern California. Meanwhile, says Michael Mendez, whose graduate planning thesis influenced the creation of the dialogue series, upwardly mobile Latinos who are looking to buy houses need options other than the single-family home in the suburbs. Planners and developers should look to the nuances of Latino culture, he says. These include the sidewalk vendors, parking-lot shrines and front-yard courtyards made with chain-link fencing that define areas like East Los Angeles, notes James Rojas, founder of the Latino Urban Forum. He says, "Latinos are redefining streetscapes in L.A. by the way they use public space." The Latino New Urbanism Conference will take place Nov. 19, 2004. For more information and for the location of the gathering, contact the Transportation and Land Use Collaborative: 626-969-5599, www.latinonewurbanism.org.